The design of a frozen dam is impossible without thermal analyses in relation to architecture, the thermophysical properties of the soil, and meteorological and hydrological conditions. The most effective tool for such simulations is the Frost 3D Universal software package that enables you to forecast soil freezing and thawing with regard to groundwater filtration. 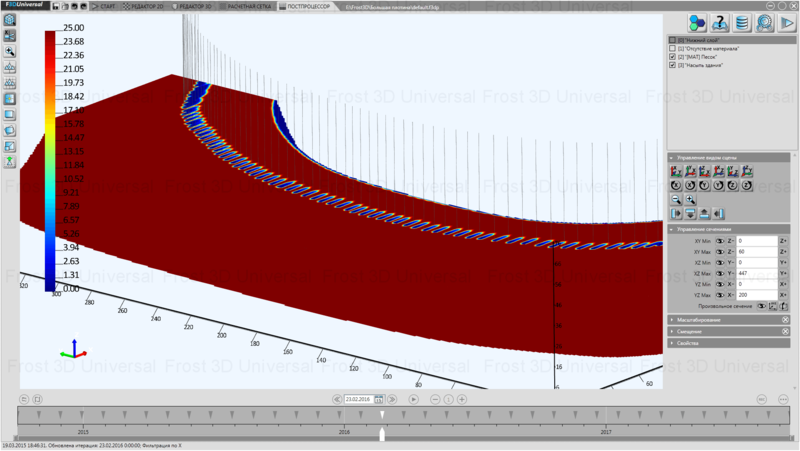 Frost 3D Universal performed the numerical computation of water filtration through the dam and core freezing with the use of subsurface cooling units.